One of the challenges of using social media for marketing is getting a message to the right audience with so many people and content competing for attention. Paid promotion is a good way to get a message to a targeted audience, but many of the newer platforms have yet to make that feature available to all users. For marketers who Pinterest, today the long-awaited day has finally arrived. As of Jan. 1, 2015, all business profiles on Pinterest can use promoted pins to reach target audiences. Promoted pins are nothing new in themselves; as the company has been testing the idea for over a year. 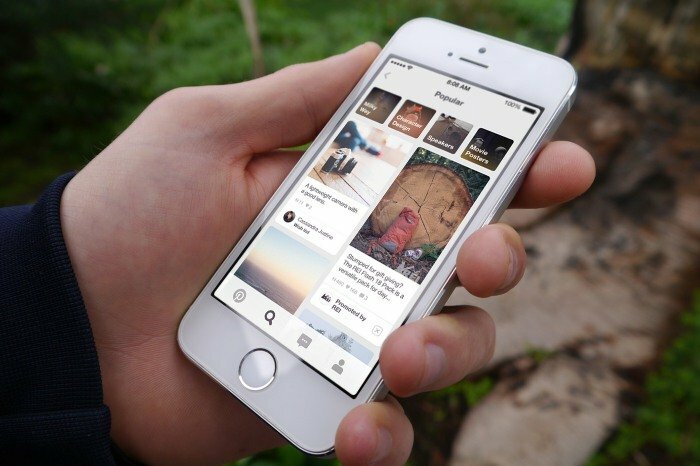 Pinterest first announced trials with select companies leading the way. And last June, they even opened the beta trials to certain companies that signed up. This newest change simply opens the door to everyone and marks the official launch of the advertising platform on Pinterest. In announcing the official launch of ads, Pinterest provided some of the data they had already been able to learn from the companies that first tested promoted pins. For example, they noted that “brand advertisers achieved about a 30 percent bump in earned media” (impressions caused after the initial promoted pin) from their campaigns. This happens when people who saw the Promoted Pin repins it to one of their own boards which can exponentially increase the reach. Pinterest also notes that Promoted Pins are repinned 11 times on average, which matches the average for pins in general, so marketers shouldn’t worry that consumers won’t be responsive to promoted content on Pinterest. Promoted pins may be a little new, but people will still choose to engage with them if they have interesting content. Right now, companies can reserve impressions with a target audience through a CPM pricing system. Pinterest isn’t offering a bidding system yet, though they have one in the works. According to Pinterest, tests on an Auction Based Pricing systems are ongoing and the results have been promising. Since advertising is still new to Pinterest marketers, the company plans to hold a series of workshops to show marketers how to use the system, find the right audiences, and create Pinterest campaigns that drive engagement. The first “Pinstitute” workshop is scheduled for March. Having a way to promote content on Pinterest makes the platform infinitely more useful to marketers. It can be used to get pins about products, sales, or contests to the target audience and plant the seeds for a marketing campaign that spreads virally and drives consumers to action. For more news about the number four social network, read this article on recent improvements Pinterest made to their search feature.